Here are a few tips on how to set up a document for commercial printing and avoid as many problems as possible! Creating your beautifully designed document is only half the job, getting it printed to do it justice is the crucial bit! When sending your final document for commercial printing you may find that you do not receive back the expected results, therefore setting up the file in the best way for print is essential. Commercial printing companies prefer to receive the digital documents for output in two formats, a PDF (Portable Document Format) or a Postscript file. Although both formats will end up as PDF’s before printing. A postscript file will be converted into a PDF. When a file is received in its native form – i.e. 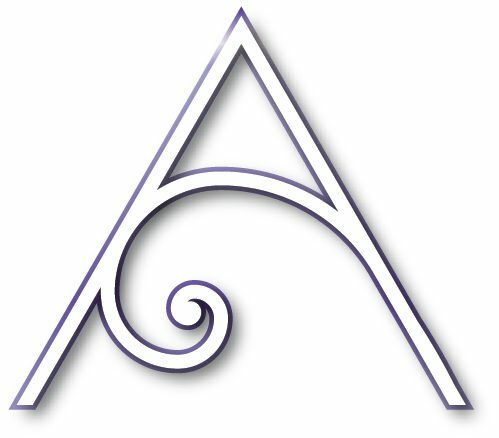 from Microsoft Word, Publisher, Quark or even Adobe Indesign problems can occur. To begin with the Print company has to have the actual software the file was created in and the correct version to open the file. One of the main problems is caused by fonts, the printer has to have copies of the exact fonts used. If these are not present on his system fonts are substituted and can wreck a design in one click. Colours can cause problems when not identified correctly and set up in the right mode. Using the PDF format correctly most of these complications can be avoided. However checking the Printers actually specification requests is important. 1. Create the document to the correct size of the actual page you require. These are guide lines for the printer to cut along. When your document is printed, it is printed on oversized sheets of paper. If the document is basically white, there will be no indication of where to trim the page. It is crucial for all items and especially when the design is very close to the edge, such as business cards. It also ensures your document is trimmed squarely to the design. 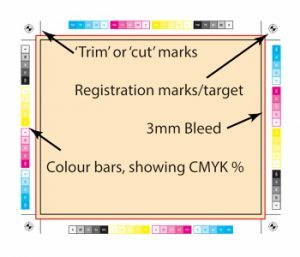 These marks are used to align the different colour screens when printing the document. 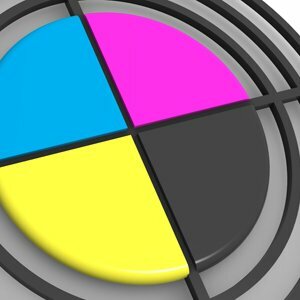 “Four Colour” or “Litho” printing uses four separate screens of coloured dots, (Cyan Magenta Yellow and Black) to build your images. Each screen must be correctly registered or it may resemble the ‘3D ‘images you see without the glasses on! Although trim marks allow some degree of registration the extra marks give a more accurate guide for print make up. When creating a folding leaflet, you may need to add guides manually to indicate where the ‘folds’ should be. This is done using a dashed or dotted line to differentiate from trim marks which are normally solid. If created manually make sure they line up and allowances are made for the front and back of the leaflet. TIP – Folding a A4 leaflet in 3 – called a ‘roll fold’ is best set up with the inside flap being slightly shorter than the overlapping one. Make sure your dashed line does not show on your design as it will be printed if not. 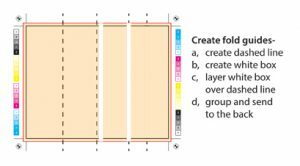 TIP – One of the best ways is to create a continual dashed line across your page, 26mm longer than the page, (13mm either side) then create a white box over the top 6mm longer than your page which allows 3 mm each side (your bleed allowance – see below) this covers the dashed line within your design but allows 10mm each end to indicate where to fold without affecting your design. NB – Any content outside the trim area will be cut off. This is an area of 3mm or sometimes 5mm around your whole page which allows any printed area to ‘bleed’ off the page. When the document is trimmed out the 3mm of bleed area will be removed. This ensures your design will have a crisp edge of colour not a white gap around it. A printer usually likes a tolerance of 3mm + or – for trimming. Make sure you have no ‘spot’ colours included in the document unless you have specified and allowed extra costs for the printing. Convert all colours to CMYK to avoid this. Do not send a file to be printed when the colours are specified as RGB. Some commercial printers will check this for you but if a file slips through you will get some strange results. Make sure all fonts are ’embedded’. If you have used unusual fonts it is useful to save them as ‘outline’ or ‘paths’. This means they are converted to ‘pictures’ and will be printed as you see them. Make sure all images used are 300 dpi and CMYK format. An image with a size of 72 dpi will not appear as you think when converted to pdf and especially when printed. Make sure images are not jpegs, psd or tiff files are preferred as they do not lose detail or colour. Read more about ‘Images and Resolution’. Save your file as a High quality PDF. Before sending , check you can open your pdf file. Check that it looks as you expect and enlarge areas to 400% to double check images look clear or areas are correct. Sometimes PDF’s can show abnormalities on the screen which are actually not there but generated. If any worries alert the printer and ask them to check all is ok. When naming your file call it something that easily identifies it, or you. 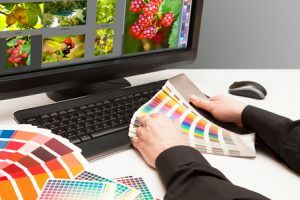 The Printer will always help and offer advice if you hit any problems – it is in their interests to help you as in the long run it aids their work flow and creates less problems on receiving your files. I hope this was useful and your Printer will love you forever!